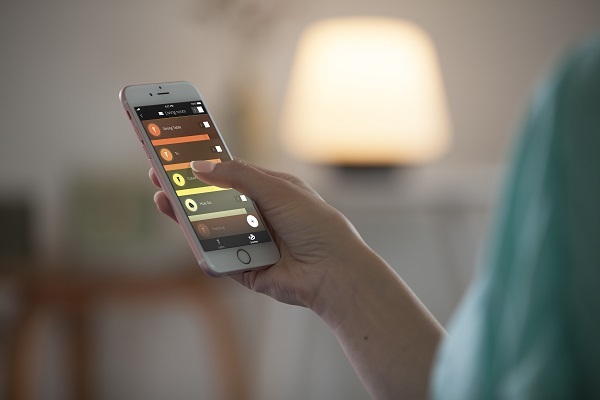 Today Philips Lighting, a Royal Philips (NYSE: PHG, AEX: PHIA) company and global leader in lighting, releases the much-anticipated new Philips Hue gen 2 app for iOS and Android. With a fresh new design and intuitive interface, the new Philips Hue gen 2 app now features ‘Rooms’ meaning that you can group all of the lights in one room together to control them all at the same time; ‘Routines’ which are light schedules you create to support your daily activities; and ‘Scenes’ which extract the color palette from any picture to create a unique atmosphere personal to you. Through the new home dashboard, you can see an overview of all the lights across your home, and also switch them all on, off or to dim them with just a tap or a swipe.